Floraplex Terpenes was created by a team of experts in essential oils, chemistry, and product formulation. 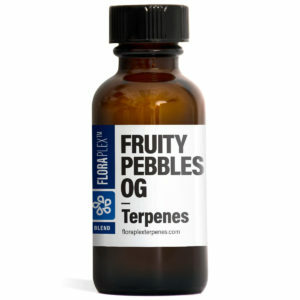 We are passionate about terpenes! Our team includes formulation experts, a phytochemist, and a chemist. We strive to be an industry leader, and to that end our products are consistently produced and controlled according to quality standards, allowing us to provide the best possible products and customer results. At Floraplex Terpenes we do more than formulate, prepare, and distribute highly concentrated, affordably priced, top-of-the-line terpene isolates, strain blends, sensory blends, and diluents. Our product catalog is consistently being updated to offer new, unique, and custom ordered terpene products. We cater to businesses and individuals alike.